Small dram glass the bowl engraved with floral decoration and bird in flight on a plain foot. English C1770/80. 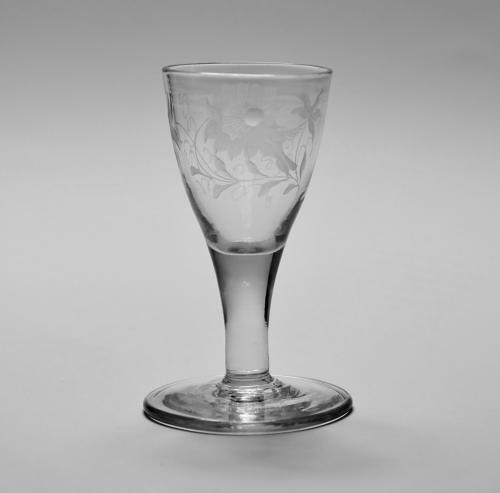 Note: A nice example of a late 18th century dram glass.